…keeping the stretch fabrics coming along here… They are so quick to make up, so versatile to have. I’m not sure about you, but I’ve struggled to find good quality, good fibre (non-poly), good design and reasonably priced stretch fabrics here in Australia, so I have bought up over the years. This stretch hails from the NYC garment district. It was made for Anthr0pologie. They made the cutest drapey tops out of this. I had images of them but can’t find them now, time to stop looking and just get on with posting! In lieu of the actual tops, here are other Anthr0 tops for inspiration. 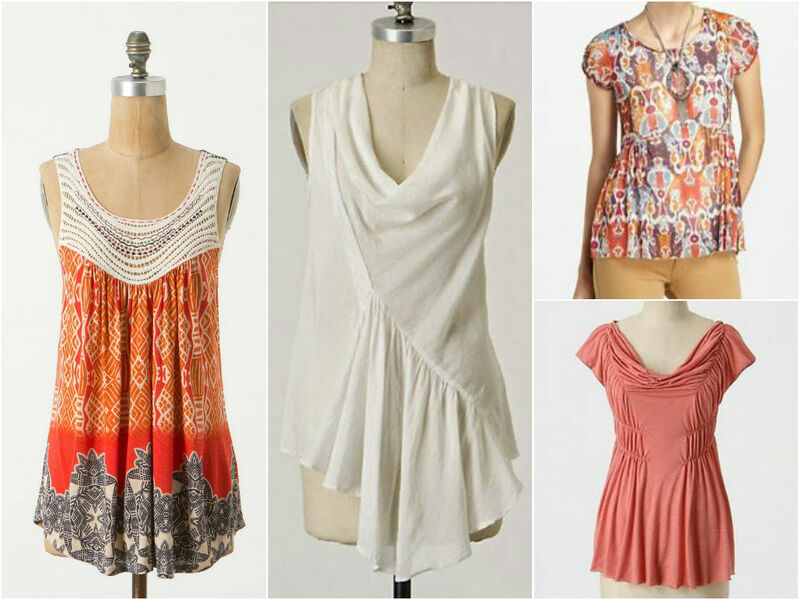 I never tire flicking through all the Anthr0 tops when I need ideas. 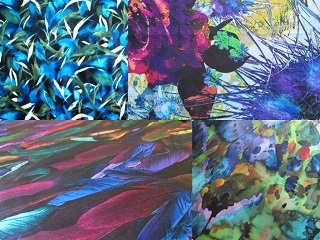 This viscose/lycra is a light to medium weight fabric. It has a two-way stretch with great recovery, stretching maybe 5 – 10% width-wise, and just a slight stretch length wise. 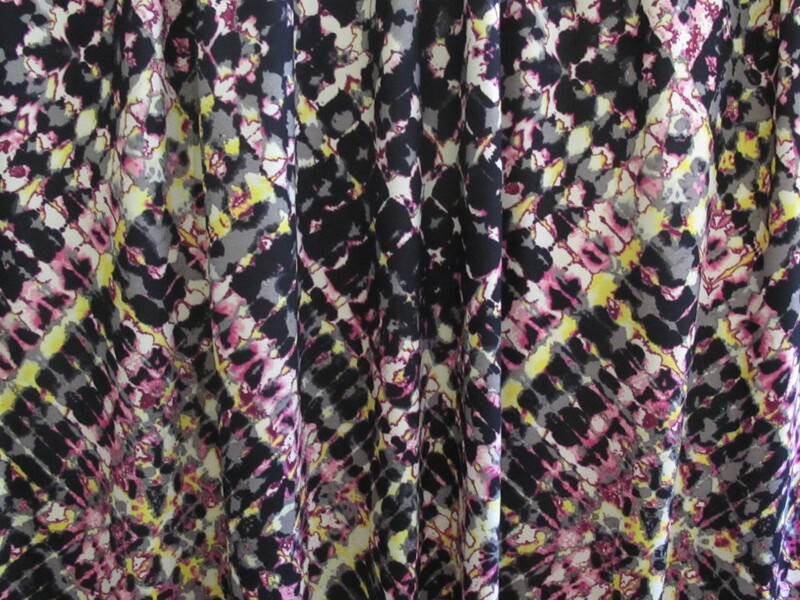 The fabric features such a great graphic pattern. 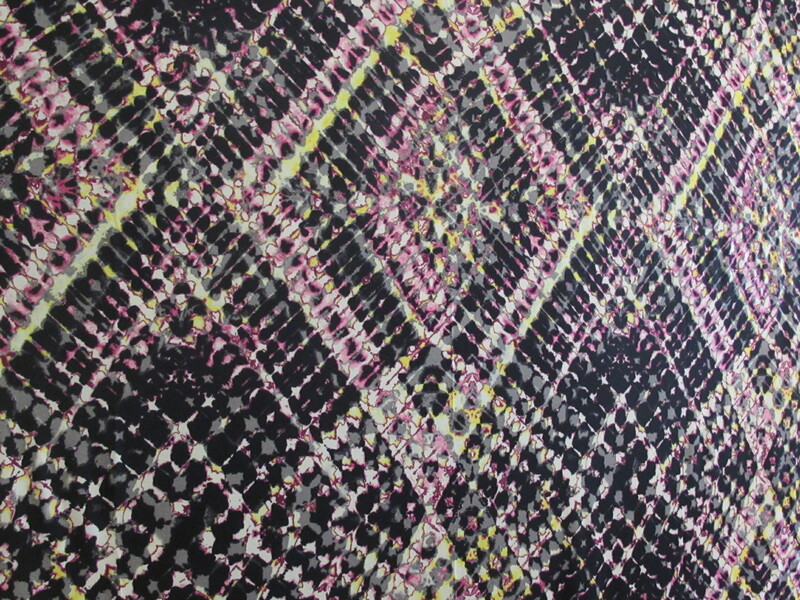 It is based around a diagonal plaid pattern, with tie-dyed paillettes in shades of soft raspberry, light lemon grey and black. You don’t need to worry at all about the larger scale diamonds of the plaid as the whole look is so deconstructed, you can place your pieces and chop away. But of course if you do want to enhance the graphic structure, you could come up with some fabulous ideas for placement. 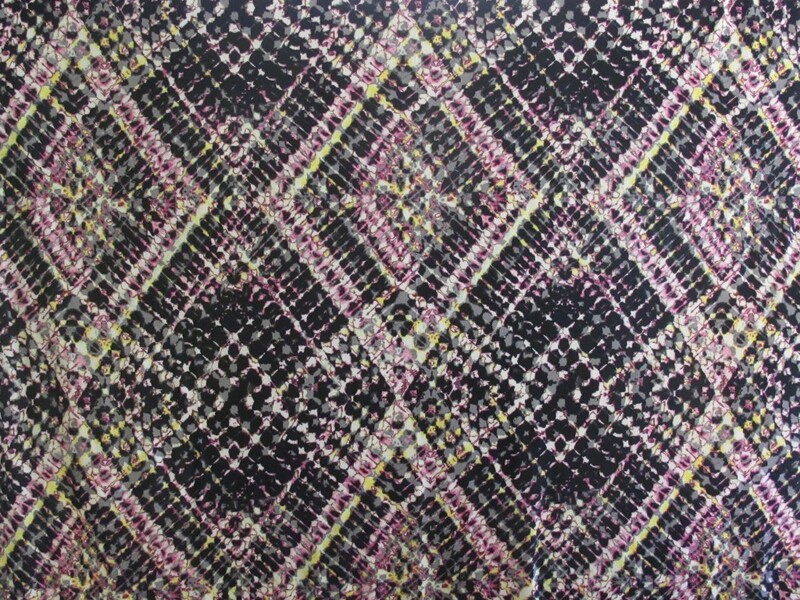 This piece is 140cm wide and 1.70 metres in length. The fabric price is $23 a metre/$39 for the piece.